Training for spring races can be tough this time of year….cabin fever, negative temps, frozen sweat kind of tough. When breaking 40 degrees is a 10-day weather forecast goal, we all need some serious motivation to start logging outside miles! It’s time to make a plan for getting back in race-ready shape, especially for those looking to increase mileage or work on a PR this spring. Don’t know where to start? Join us for an #askHMF Q&A with experts from Select Physical Therapy to learn more about strengthening exercises, warming up, cool stretches, tips for returning to running after rehab as well as injury prevention and common injuries. This Friday, 2/27, from noon-1:00 pm, Andrew Miller and Skylar Miers from Select Physical Therapy will be live answering your questions on Twitter. Send questions for Andrew and Sky anytime to us @runHMF using #askHMF. Not on Twitter? You can leave your questions in comments here or on our Facebook page and we’ll provide Andrew and Sky’s answers there on Friday. Learn more about our guest experts below. Training programs are starting March 7 and March 14 for the Mystic Half Marathon and the Amica Iron Horse Half Marathon. With certified coaches leading groups in Glastonbury and Groton, we have expanded training offerings to provide support, motivation and custom plans to help you successfully bounce back from winter hiatus! 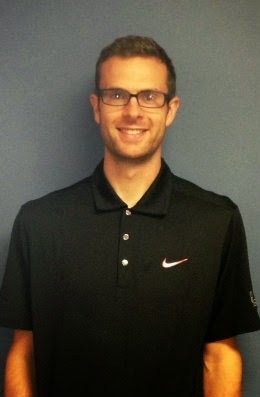 Andrew Miller is a physical therapist at Select Physical Therapy in West Hartford and at their onsite clinic at The Hartford Insurance. He graduated with his Doctorate in Physical Therapy from Northeastern University in 2010. He received his Orthopedic Certified Specialist (OCS) and Certified Ergonomic Assessment Specialist (CEAS) certifications in 2014. Along with his experience in the orthopedic and corporate environment, Andrew was a PT for Temple University athletics while working in Philadelphia. An avid runner, he coaches and performs injury assessments with Fleet Feet Sports in West Hartford, and he has developed a Running Clinic for his West Hartford office. He treats a wide variety of running and sports-related injuries, as well as post-surgical and musculoskeletal conditions. He has completed 6 marathons and road races of many different distances. Skylar Miers graduated with a Bachelor of Science in Athletic Training from the University Of Vermont in 2011. She started her career with Select Physical Therapy in August of 2011 as a Coverage Athletic Trainer. 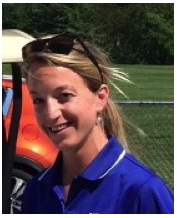 In August of 2012 she became the Head Athletic Trainer for Old Saybrook High School contracted through Select Physical Therapy. She also assists the Physical Therapist at the Old Saybrook clinic. As an Athletic Trainer she collaborates with Physicians and Physical Therapists to provide preventative services, emergency care, clinical diagnosis, therapeutic intervention and rehabilitation of injuries and medical conditions. Her goal is to keep all athletes healthy, strong and safe so they can continue to reach their goals. Skylar oversees Select Physical Therapy’s Sports Injury Hotline and can be reached via e-mail 77moblmed@selectmedical.com or phone 1-877-662-5633 to answer any questions you may have on common injuries, aches, or pains. February 13, 2015, Glastonbury, CT – The Hartford Marathon Foundation is pleased to announce the final selection of members for Team HMF in 2015. This group of 17 women and 12 men represents runners from diverse backgrounds and age groups. They come from throughout the southern New England area and represent a wide range of experiences. From coaches and personal trainers to youth running supporters and educators, their paths are different but their passion is shared. Whether life-long or novice athletes, the members of Team HMF are excited to inspire and encourage. Many have been motivated by personal challenges to live healthier, be stronger and help others. In the second year of the Team HMF application process, nearly 100 runners vied for a spot, many with extensive race experiences, a high level of social media and networking activity, as well as involvement in their communities or with fitness organizations. Members will help inspire peers and their communities as ambassadors of HMF's mission to promote health, fitness and enjoyment for participants of all ages and experience levels. Members will be seen throughout the region racing in Team HMF uniforms, participating in awareness initiatives and sharing perspective on Hartford Marathon Foundation events through their personal experiences. New to the team this year is the Team HMF FitKids Ambassador position. The Ambassador will serve as the face of HMF FitKids, a program that allows children aged 2-11 to compete in age-appropriate race distances and earn their own medals at multiple HMF events. The program also includes HMF FitKids in School, a five-week school-based initiative in which students run together to accumulate 12 miles or 25 miles. In early October, they come together with students around Connecticut for the culminating “Final Mile Event” to complete their marathon or half marathon distance. Team HMF members will train and race in Team HMF apparel, post updates and photos through social media channels, participate in race-day initiatives and other group activities and compete in races throughout the region.